Chase credit cards offer something for everybody. Chase cards cover the spectrum of perks, including travel rewards, cash back, and 0% introductory rates on balance transfers and purchases. I’ve carried a number of Chase credit cards for years. I used the Chase Slate card’s no fee 0% balance transfer to help my wife and I get out of debt. 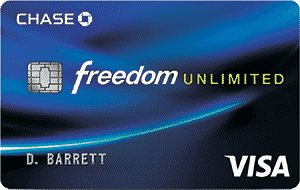 The Chase Freedom® card helped us earn substantial cash back rewards. And today we carry the Marriott Rewards® Premier Credit Card. Here you’ll find the complete lineup for Chase credit card offers. We’ll start with the consumer cards, and follow it up with Chase business credit cards. Editor’s Pick: It is extremely difficult to pick the best Chase credit card. 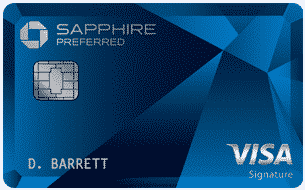 If I had to pick just one, however, it would be the Chase Sapphire Preferred Card. This travel credit card offers 60,000 bonus points when you meet the spending requirement and up to 2x points on travel and dining at restaurants. It was named “Best Credit Card for Flexible Travel Redemption” – Kiplinger’s Personal Finance, June 2018. Click here to learn more about this and other travel cards. Click here to learn more about the The World of Hyatt Credit Card and similar credit cards. Chase offers some of the best business credit cards in the market today. Our personal favorite is the Chase Ink Business Preferred Credit Card. It offers a remarkable signup bonus, excellent ongoing rewards, and no foreign transactions fees.